Back in September I mixed up a batch of dried pomegranate rind dye and experimented with it; here are the results! These are all basic kitchen cotton yarn (Peaches & Creme 100% cotton). From left to right: dried pomegranate rind and lemongrass (yellow), dried pomegranate rind (yellow), fresh mint (leaves and stems) with iron mordant (gray), and fresh mint, dried pomegranate, lemongrass with iron mordant (brown). 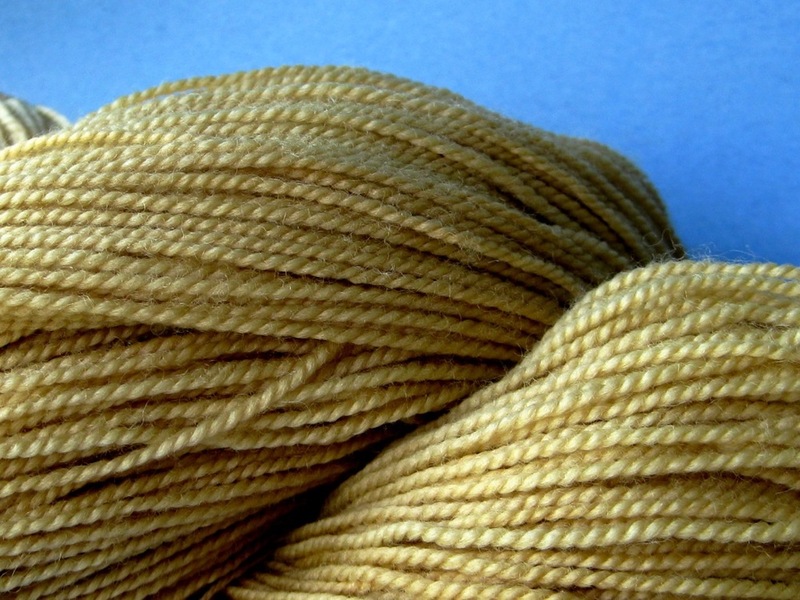 This sock weight wool yarn was dyed with dried pomegranate rinds. 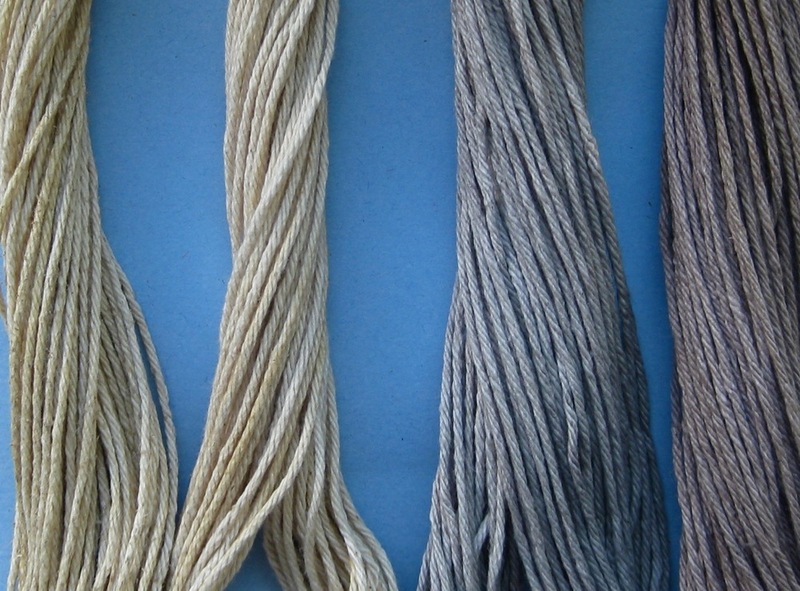 I then overdyed it with either dried kukui leaf dye or dried bamboo leaf dye - I'm not sure which. Either way, it didn't change the color much, if at all.